There are 9 posts in this thread, and it has been viewed 8813 times. How do you rate SNK's first Samurai Shodown game for Neo Geo Pocket? This week we are taking a closer look at Samurai Shodown! for the Neo Geo Pocket. 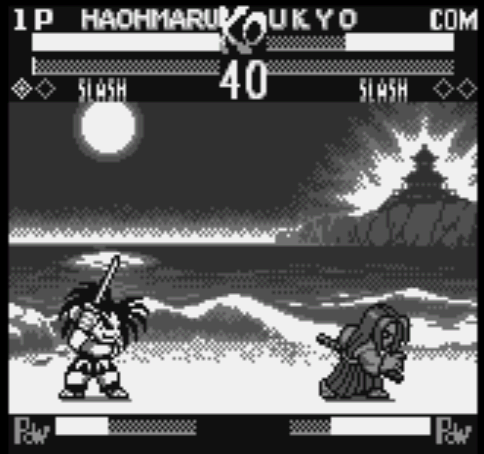 Samurai Shodown!, released in 1998, is the first of two installments for Neo Geo Pocket (Color) of SNK's much-loved weapon fighting game series. 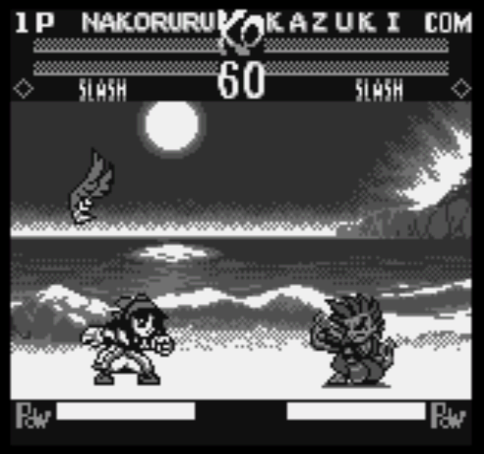 Unlike the later sequel this is a monochrome game, being released before the launch of the Neo Geo Pocket Color. 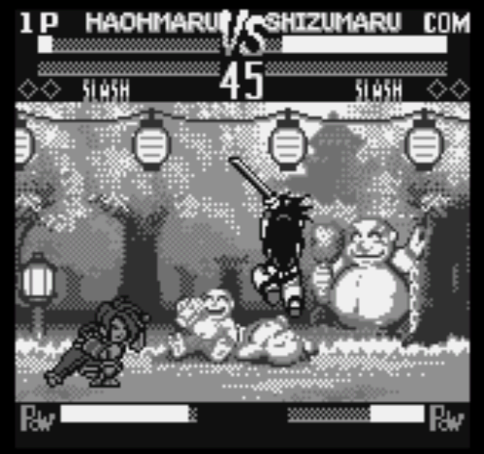 As in other NGPC fighting games the characters are drawn in a super-deformed chibi style. Samurai Shodown! is set in 18th Century feudal Japan and features a total of fourteen playable characters. The characters Shiki and Zankuro can be selected after entering special codes while on the character select screen. The game is based on Neo Geo MVS game Samurai Shodown IV with a similar storyline, endings, cutscenes, stages and also includes the two new characters from the arcade game Kazuki and Sogetsu. The slash/bust system is also retained which gives you a choice of two versions of each character with different special moves. There are three gameplay modes in Samurai Shodown! : single player, versus and survival. 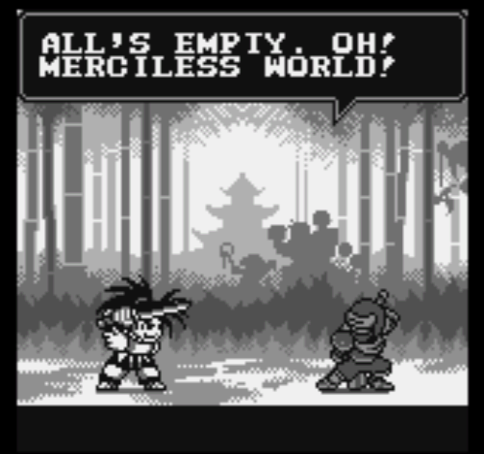 Never played any of the monochrome NGP titles, as I have only ever owned and played the NGPC. if this game is anywhere near the quality and standards of SS2!, then I'm sure it's a great little fighting game! I need to get more of the early B&W titles. I bought a NGP by accident a couple years ago when I was trying to buy a second NGPC. It worked out because I wanted one anyway... but I digress. Samurai Showdown is a great game on the NGP. It's no Match of the Millennium, but it's a great fighter. I think the NGP/C had the best portable fighting games. It really is too bad that it had to fall subject to the power of Nintendo. Nice to see a few replies in this topic. I don't own a NGP(C) and had never played this before. I gave it a try on NeoPop though and have to say I'm impressed. Very fun little game and I like how it is a bit similar to Samurai Shodown IV which is my favourite game in the series on MVS. Nice to see they included the slash/bust system too. If I had a NGPC I would definitely buy this although I would probably spend more time with the sequel due to it being in colour. Never played this one, but I have the 2nd one for NGPC. To be hoenst I haven't spent much time with that game either... maybe it's about time. Never played it either. I know a lot of people love the handheld Neo Pockets but I've never seen the appeal. I would rather buy a PSP or similar and just play perfect Neo Geo versions. Having said that I'm not really one for handhelds full-stop. The only handhelds I have ever liked are the mono-Gameboy and the 3DS. NeoGeoPocket fighting games are excellent and play excellently. The stick is leaps and bounds better/superior to the NGCD stick it's based upon. It's more more precise and responsive. Although most of the games are (obviously) 4-button in nature, the majority use the same system adopted by World Heroes originally, whereby a minimal button depression initiates a light attack and a slightly extended button depression initiates a hard attack. And, it works REALLY well and some superb combo's can be had from this system, especially the likes of KOF and SVC. Certainly, it of course would seemingly make sense to have a handheld release in 99 that was capable of running (ports of?) the AES/MVS versions on the go. That would have been superb. Awesome handheld adaption of the main series. The sequel is more polished, and in colour too, but considering this is one of SNK's first portable efforts it's very good. I suppose it's not just the game, as stated in the post above, the hardware really is fantastic for fighting games. 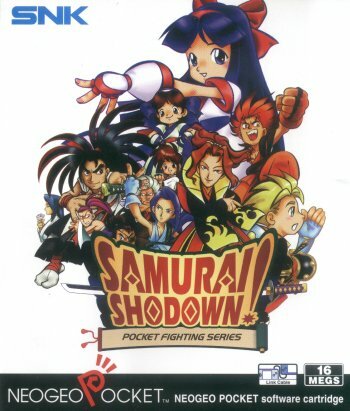 LOVED this game when it came out back in the day, I remember shelling out so much money for the dark blue neo-geo pocket and bought it solely for this game. I loved the bone breaking sequences you could do. Also, Babbages was a great store.